The Wolfpack Distance Club (Chiles HS), Tsion Yared, and Carly McNatt brought the heat to the Nike Cross Southeast Regional in Cary, NC this weekend. 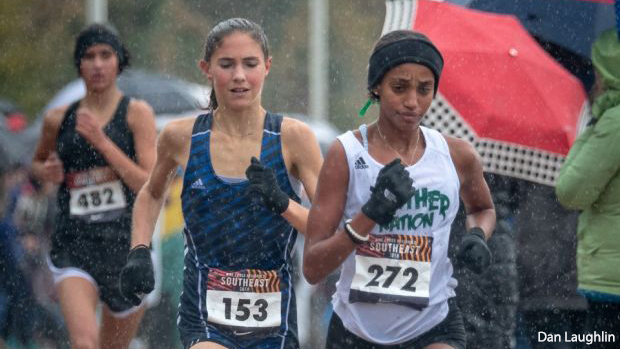 2A state champion, Tsion Yared, finished second in a time of 17:44 to become a two-time NXN qualifier. Yared has had arguably one of the strongest seasons and strongest careers in Florida history and she added another accolade to the list with her qualifying performance. Carly McNatt, the 1A state champion and Holy Trinity eighth grader, finished fifth in a time of 17:51 to qualify for her first national meet. At fourteen, McNatt was the youngest qualifier out of NXRSE and will be among the few middle school athletes to race at NXN on December 8. Yared and McNatt join Lastra and Hendrix as national qualifiers. All four Florida individual state champions are headed to compete at the national level. Congratulations ladies! 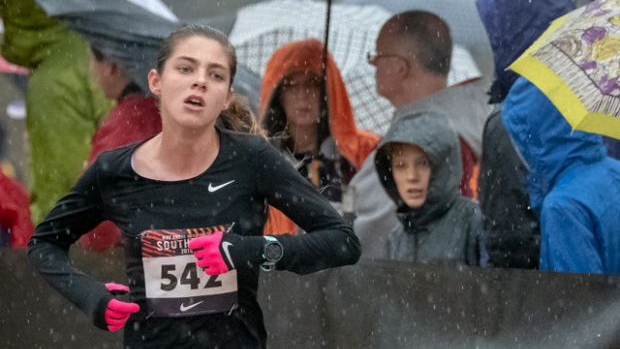 The Wolfpack Distance Club (Chiles) stole the show at NXRSE. Earlier in the season we watched Chiles win Great American Race of Champions, Flrunners.com Race of Champions, District, Region, and 3A State. Chiles has been undefeated this season running as a literal pack every single race. This weekend, they not only achieved their goal of making it to NXN, but also continuing their undefeated season with the NXRSE win! Chiles won the Championship race with 156 points, beating out Blacksburg XC by 3 points. Emily Culley and Caitlin Wilkey worked together to finish 12th and 13th with 18:22 and 18:26 performances. Alyson Churchill and Lindsay James went 55th and 73rd with their 19:16 and 19:31 races. Megan Churchill rounded off the top five with her 19:47 run. Abby Schrobilgen and Olivia Miller helped lead the wolfpack with their 20:13 and 20:20 runs. At NXRSE, there is a delay in the automatic results until the awards ceremony a half hour after the races have concluded. This leaves many teams anxiously awaiting their NXN fate. As the announcer lists off the names of the top ten teams, then the top five, then the top three and when the Chiles ladies recognized that they had not been called just yet, you could hear the excitement stirring. As the announcer said the second place team name and it still was not Chiles you could see the excitement from all the girls, parents, and coaches hugging and cheering -- knowing that they had not only punched their ticket to NXN, but had won it. Duval (Bolles) finished out in eighth place with 222 points with Elizabeth Csikai (19:06) and Maeve O'Riordan (19:08) leading their 2A state championship team. Panther Nation (Pine Crest) finished 11th with 230 points with Yared, Emily Faulhaber (18:36), and Maya Beleznay (19:17) leading the team. 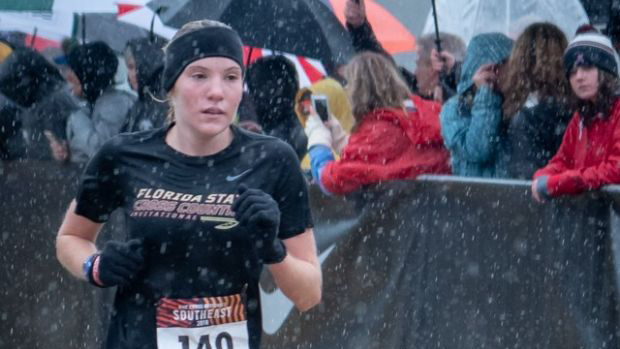 Many Florida girls finished out their seasons at NXRSE. Among the top Floridians in the Championship race were: Rylee Pustilnik (18:42.2), Lily Henne (18:42.3), Sinkenesh Parker (19:00), Kendyl Cardwell (19:07.2), Audrey McAnally (19:07.7), and Samantha Gayton (19:15.2).